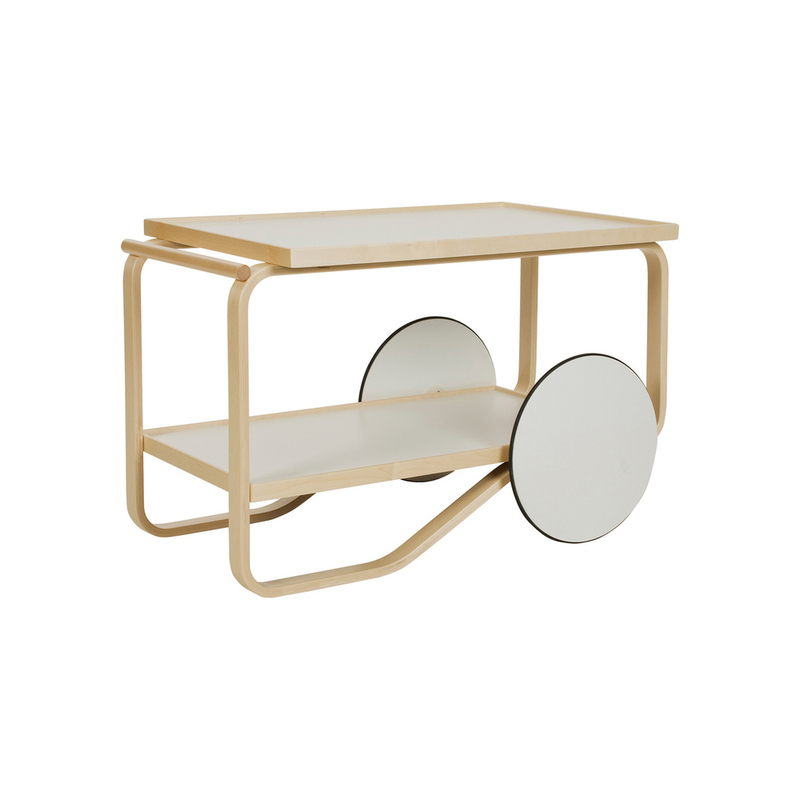 Inspired by Japanese carpentry and British tea culture, the Tea Trolley was designed in 1936 and is among the most simple trolleys designed by Alvar Aalto. 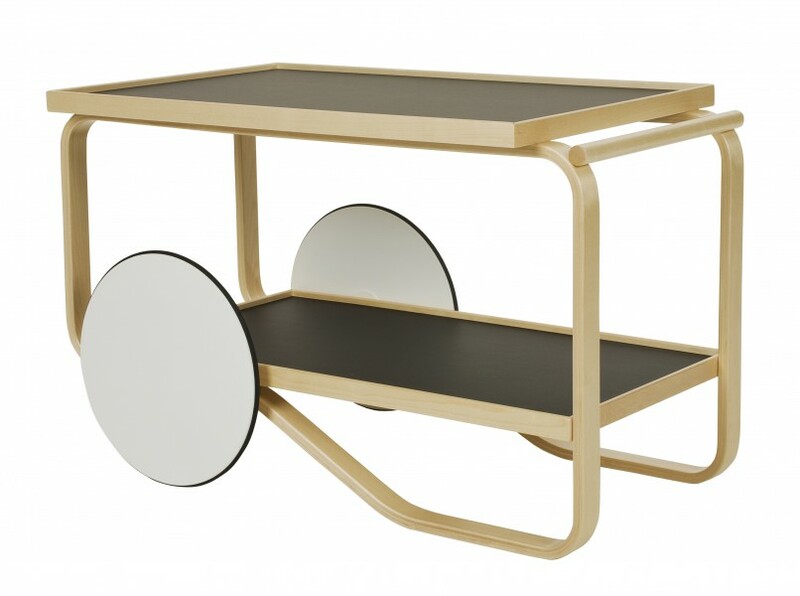 There are two styles available, one with a rattan basket and ceramic top, the other simply with laminate surfaces. L 35.4" x W 19.7" x H 22"